We have lots of tree sparrows at our house. They come for the food. 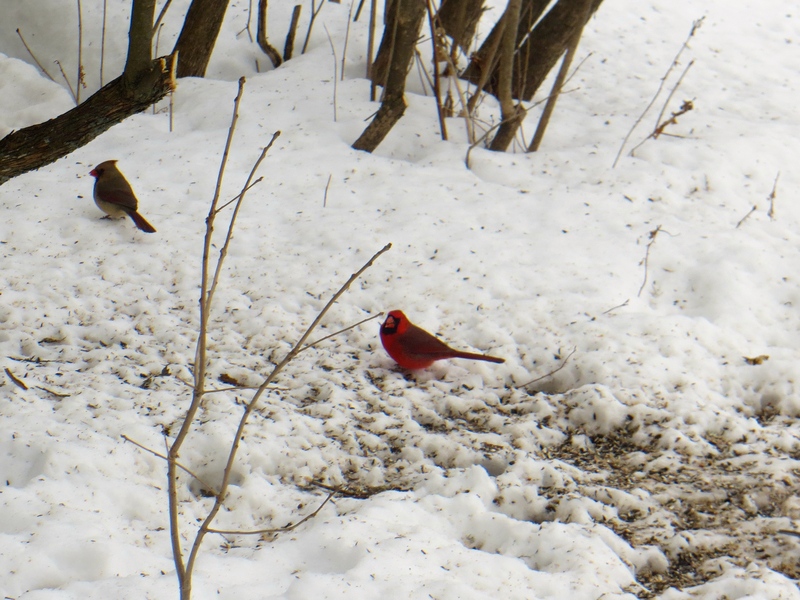 Under the feeder this morning we had a few pecking away at seeds that had fallen to the snow. 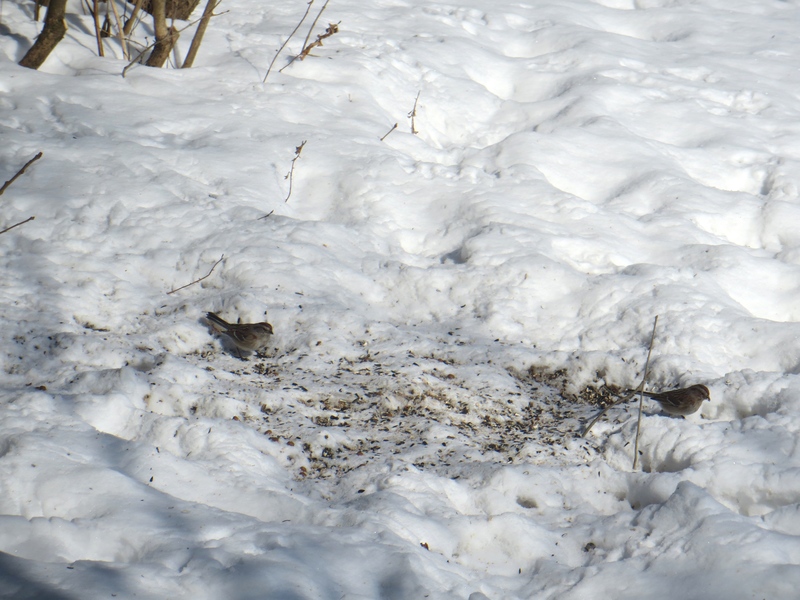 But then some bigger birds came along and shooed the sparrows away. Whatever. The sparrows will be back. But hey, cardinals! A pair of them! Sweet! Then the mammals came out. 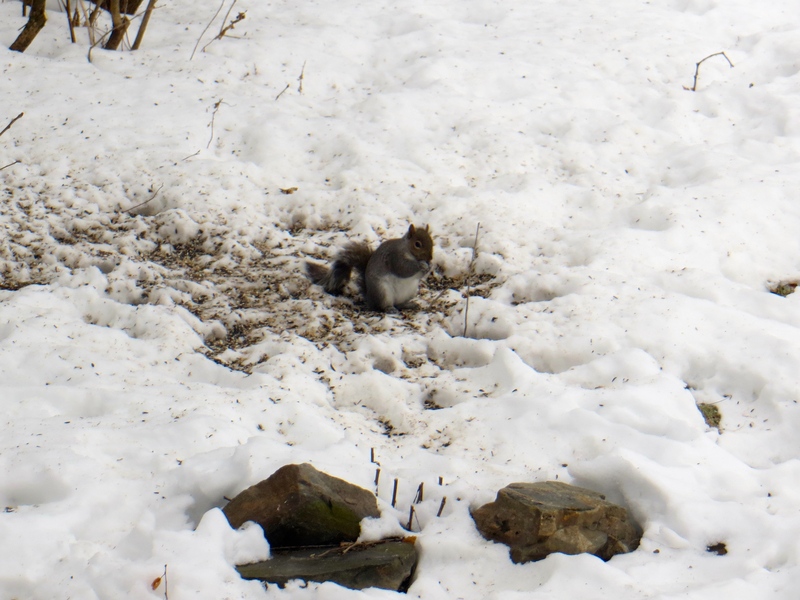 A gray squirrel came along and scared off the cardinals. Too bad. But hey, squirrels are cute. The squirrel, however, decided to leave. The new kid came along and, even though it was not interested in seeds from the feeder, intimidated the little furry-tailed guy a bit too much. 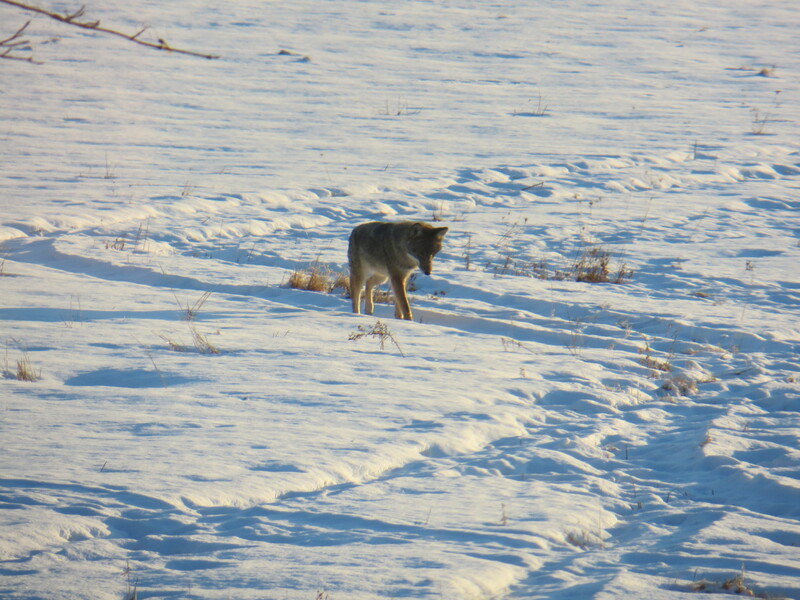 This entry was posted in Nature, Winter and tagged cardinal, coyote, feeder, gray, snow, squirrel, tree sparrow. Bookmark the permalink.